The board of Debenhams plc (“the company”) notes Sports Direct International plc’s announcement of 25 March 2019 under Rule 2.4 of the Takeover Code that it is considering a possible offer for the company. Debenhams also notes that there is no certainty that any offer will ultimately be forthcoming. Any firm proposal from Sports Direct regarding an offer for the company will be given due consideration by the board. Given the timetable associated with any public offer, an offer for the company would not, in itself, address Debenhams’ immediate funding requirement. 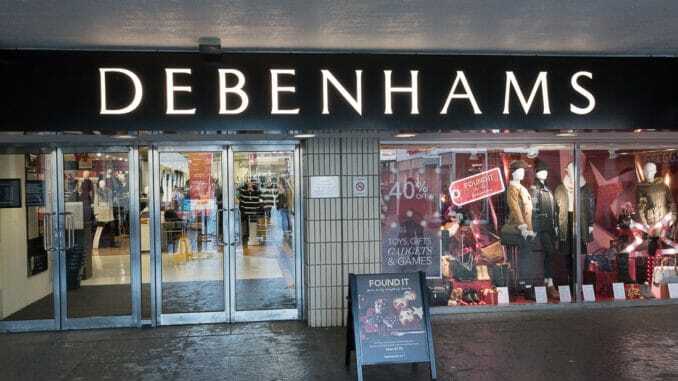 Therefore, the company will continue with its plan to obtain the funding required, as outlined in Debenhams’ statement of 22 March 2019. Any proposal from Sports Direct must provide (i) an indication of the offer price, form of consideration and any other terms of such possible offer; (ii) a clear plan of how Debenhams’ existing debt – which will fall due on any change of control – will be repaid; and (iii) a proposal that addresses the immediate funding requirements of the business. In accordance with Rule 2.6(a) of the Code, Sports Direct will have until 5.00pm on 22 April 2019 to announce either a firm intention to make an offer for the Company or that it does not intend to make an offer, in which case the announcement will be treated as a statement to which Rule 2.8 of the Code applies. This deadline can be extended with the consent of the Panel in accordance with Rule 2.6(c) of the Code. Debenhams also acknowledges that a new request to convene a shareholder meeting was received from Sports Direct on 21 March. For the purposes of Rule 2.9 of the Code, the company confirms that it has in issue 1,286,863,381 ordinary shares of 0.01p each. The company holds 59,041,231 ordinary shares in Treasury. The ISIN for the shares is GB00B126KH97.